This little gem was inspired by H is for Handmade, but I’ve used the Prairie Charms Payton Lace Trim and some gold wire to make mine a little simpler. Measure the first lace of string you are going to need against your frame and cut it with scissors. 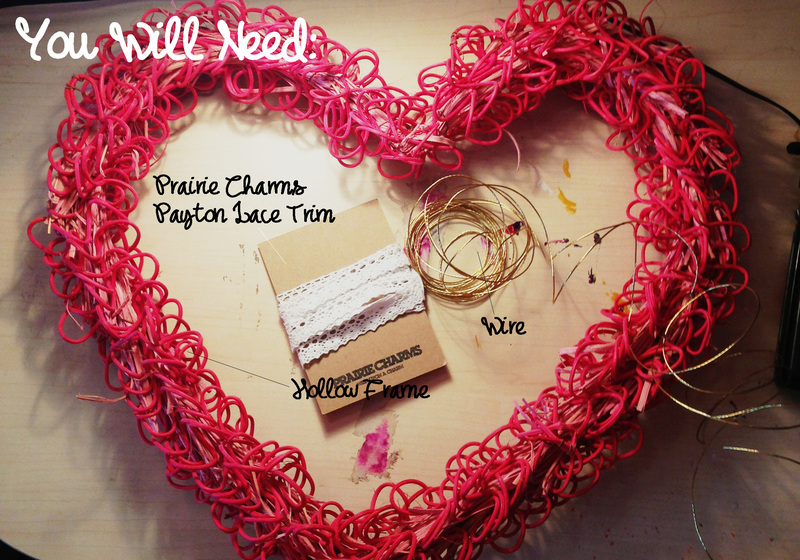 Cut off a small length of your wire and use it to tie the lace to your frame. Repeat this on the other side of the frame. 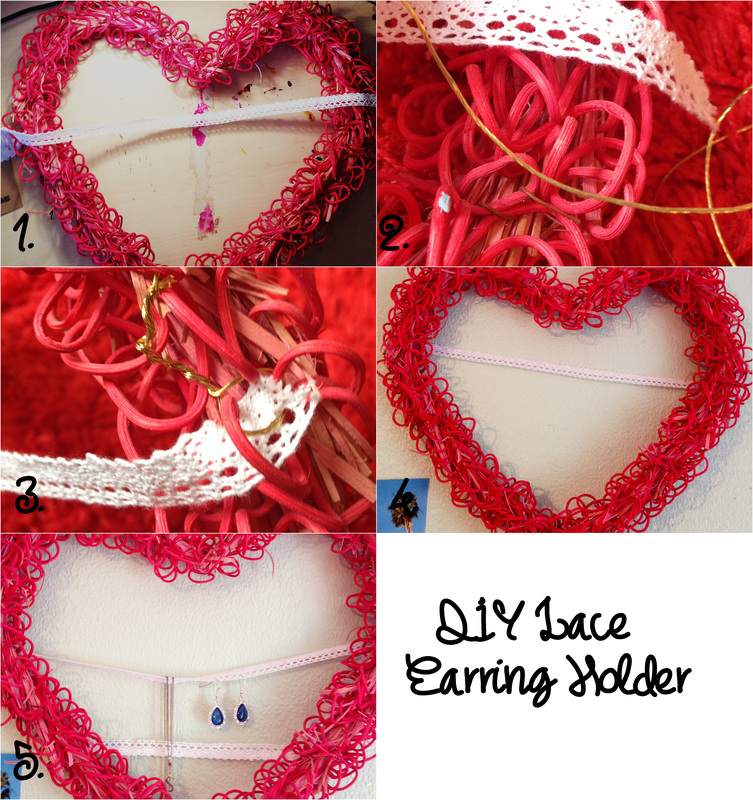 Repeat this process further down the frame with all the other lengths of lace you desire and voila – you’ve just made your very own dainty earring holder! I have decided to leave this Prairie Charms product alone and write a mini review on it, quite simply because I am in love with it. 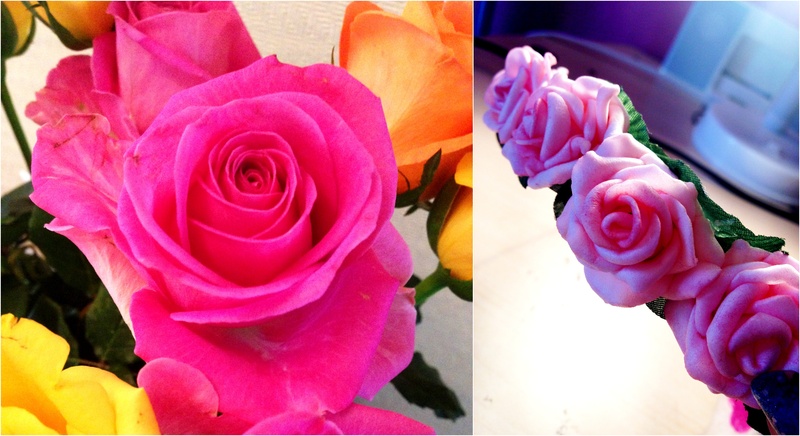 The flowers are so delicate and they even look like the real deal – proof in the picture below! 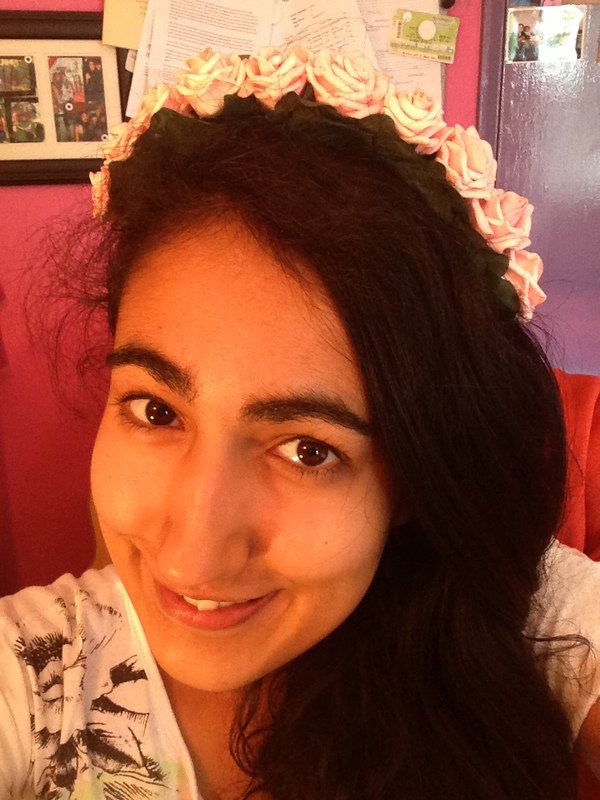 I love this flower crown/headband because it doesn’t feel like it’s going to slip down my head at any given second, like most other headbands do. In this case, I’d most definitely rather wear flowers in my hair than diamonds around my neck! 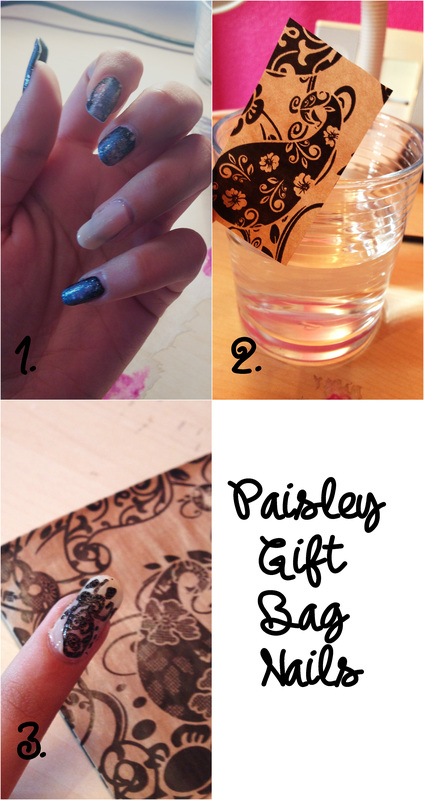 You can of course use these Paisley Gift Bags as just that and secure them with a piece of lace (or even the free gift Knot Ties I received for spending over £10), but you can also wear the pretty ethnic design on your nails! Firstly, paint your nails with a basecoat to protect them (I used Barry M’s 3-in-1 Basecoat, Topcoat and Nail Hardener) and then apply a pale base colour (I used No 7’s Stay Perfect in Practically Perfect). 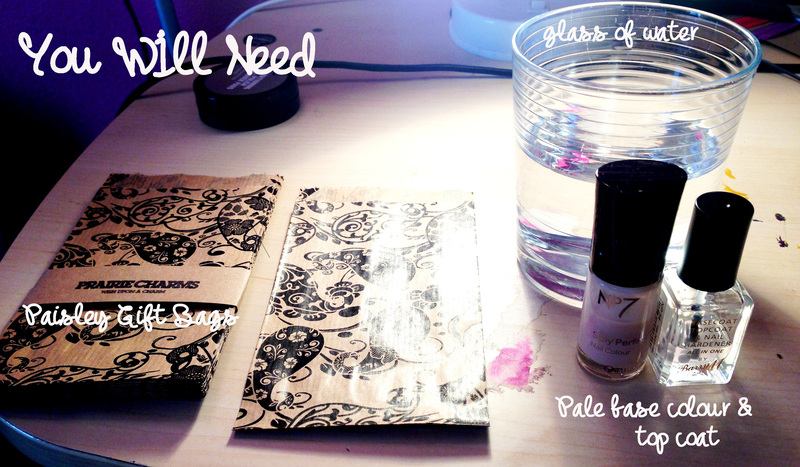 Then, cut out a strip of the Paisley Gift Bag that you like the design of (once your base colour is dry of course). Dip this in the glass of water, gently smooth it down and press on to your nail. If it goes slightly wrong the first time you try it (as it did for me), you can always just copy the intricate design on the gift bags with a nail art pen. I only did one feature nail as I can’t quite bring myself to part with my galaxy manicure just yet, but I will definitely be rocking this ethnic bad-boys at my cousin’s wedding this weekend! Verdict: Prairie Charms products are so versatile and varied, you’re sure to find something for you on their website here. I will definitely be buying some more goodies from this ethical company, so thanks Stephanie! *Winning post* Yes, that’s right, I actually won Project Blogger! Which means all you lovely followers receive 50% off Prairie Charms products for a limited period of time – just enter the code ‘PB50’ at the checkout! Thanks so much for the follow! Link me your Project Blogger post when it’s up, I’d love to read it! I didn’t realise they did such a variety of items! I love your nail idea! Neither did I until I looked over their website, thought I’d do something a little different – glad you like it! Love your blog! Thanks! If you do, please let me know how they turn out!